When I picked up this retelling, I was hesitant. 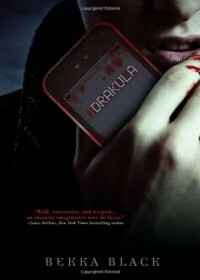 There have been so many Dracula knock-offs and I didn't want this one to feel as stale as the others. I think the difference in iDrakula is the technological narration. The story is modernized and told through emails and texts as well as the occasional scene shot. I was surprised by how well it summarized the story. Our main characters are teens, and so, a love triangle of some sort is inevitable. Here it's actually more of a square. I have to wonder what Stoker would think of his beloved characters as hormone crazed teens.